It's time to put your PC on a diet. You might think that modern computers, with their mammoth hard drives and lightning-fast processors, can shoulder the heaviest software loads without slowing down. So what if Microsoft Office Professional consumes a minimum of 3GB of space and Outlook by itself eats up 60MB of system memory (on my machine, anyway). That can't possibly put a dent in system performance, can it? You'd be surprised. The larger the program, the greater the amount of RAM required to run it--and the larger the number of hooks it adds to Windows' Registry, and the more significant the overall drag it imposes on your PC. And as you increase the number of "big" apps your system uses, the total impact on PC performance grows. This cumulative effect explains why you should consider trading in your most bloated applications for smaller, slimmer alternatives, even if you aren't concerned about maximizing the performance of your PC. In fact, let's ignore performance for a moment. If you've switched to a solid-state drive, you may find that plain old storage space is at a premium. You might have a skimpy 128GB or even 64GB to house Windows, your programs, and all of your data--all the more reason to look for the smallest programs you can find. To help guide you, I've rounded up six of the worst bloatware offenders and presented compact, nimble alternatives--most of which just happen to be free. Everyone needs a PDF viewer, but many users mistakenly assume that Adobe Reader is the best and/or only option. In reality, it's probably overkill, burdening your system with features you don't need and enough resource-hogging bloat that it can actually make your entire system run slower. 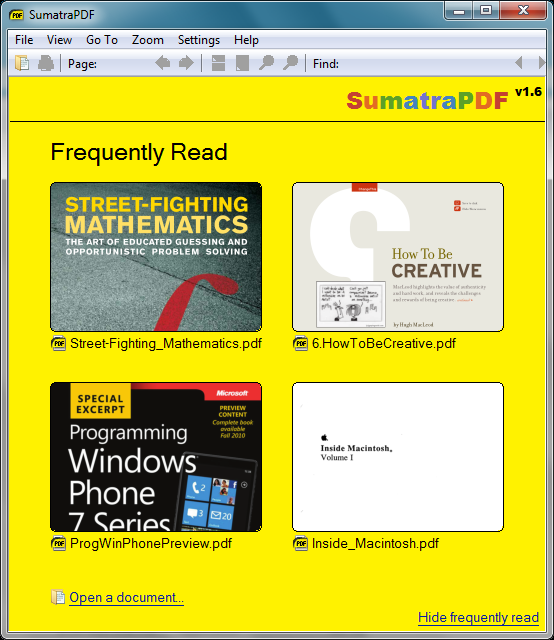 If you're tired of dealing with Adobe updates, give Sumatra PDF a spin. As an alternative, try Sumatra PDF, an elegant reader that loads in an instant and consumes only a few megabytes of space on your hard drive. In fact, if you get the portable version, you don't even have to install it. In contrast, Adobe Reader can requisition 260MB of drive space, and it loads a startup utility every time you boot Windows. No program should do that, especially if it isn't crucial to your daily work routine. To make matters worse, Adobe Reader tries to sneak in McAfee Security Scan Plus during installation, effectively adding even more bloatware to your PC. Microsoft Office is among the most bloated applications on the planet--starting with its price. The Home and Student edition, which costs $120 for a single-PC license, demands the aforementioned 3GB of hard-drive space and consumes considerable system RAM while running. Kingsoft Office delivers the look and functionality of Microsoft Office without the hefty price tag. Most users would fare better (and certainly more economically) by using one of two alternatives: Kingsoft Office Suite Free 2012 or Google Docs. The former looks and functions very much like Microsoft Office 2003, yet occupies a mere 250MB of your hard drive. It also loads much faster (at least on my system). If that's still too much space for your computer to commit to a productivity suite, consider shifting your word processing, spreadsheets, and presentations to the cloud. 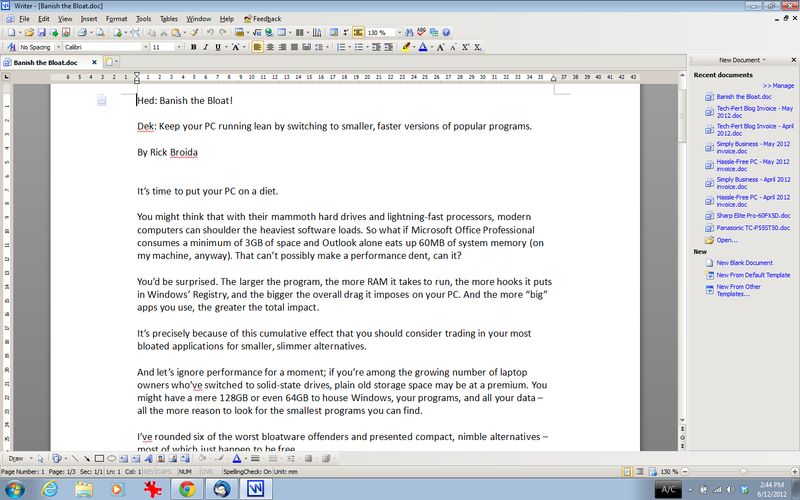 Google Docs requires no space on your PC and won't degrade system performance; it runs entirely in your browser. Google Docs offers a fairly basic feature set, but if that's all you need, you'll appreciate its zero-impact footprint. I think we can all agree that Microsoft Outlook is so bloated. (All together: How bloated is it?!) Outlook is so bloated, I can't even see my other programs. It's so bloated, my laptop looks like the Goodyear Blimp. It's so bloated, when Captain Ahab saw it, he threw a harpoon at it. It's so bloated, the feature list on the box says, "See other box." This information manager/email client is powerful, yes, and popular in many businesses, but it also delivers far more features than the vast majority of users need. And have you seen Outlook's settings menus? They're enough to make even the tech-savviest user cry. 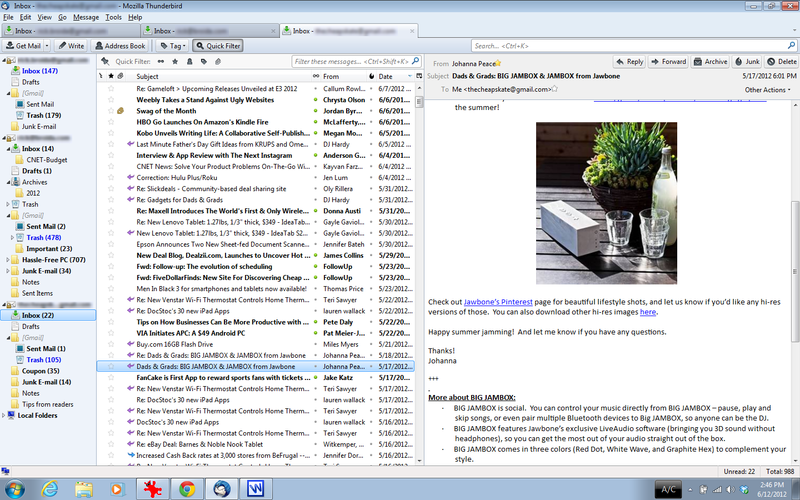 If you still rely on a desktop email client, Thunderbird is the way to go. If you just want to send and receive email and manage your contacts and calendar, look no further than Mozilla's Thunderbird. Like Firefox, this fast, mature, stable program lets you trick it out with cool add-ons. And to get it, you don't have to buy Microsoft Office--or spend $140 to buy it as a stand-alone product.